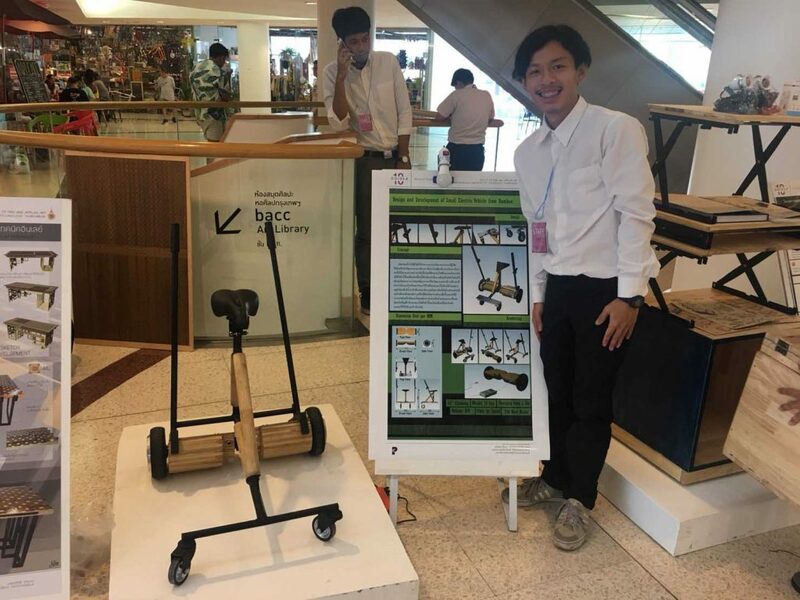 The “small electric vehicle made from bamboo material” is a product made by a new designer, Mr. Purichat Puttikurawut, a fourth year student in RMUTT’s Department of Product Design, Faculty of Fine and Applied Arts. 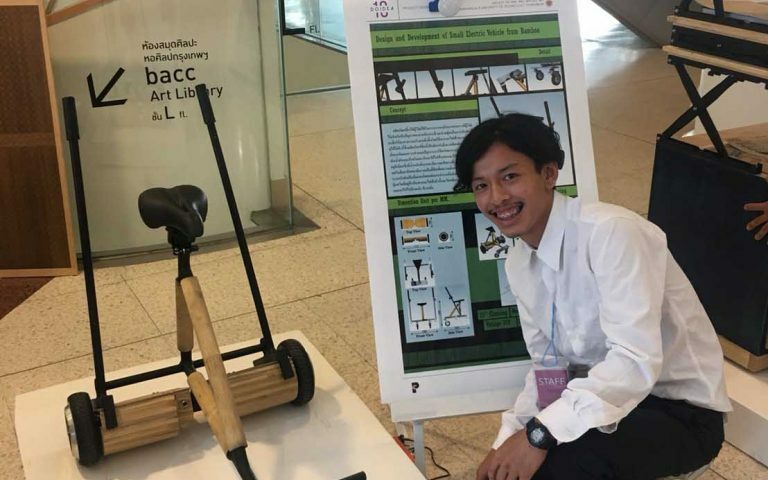 Mr. Purichat Puttikurawut said that people are increasingly using cars and roads to travel, which poses problems in terms of traffic, car accidents, and pollution, another cause of global warming. 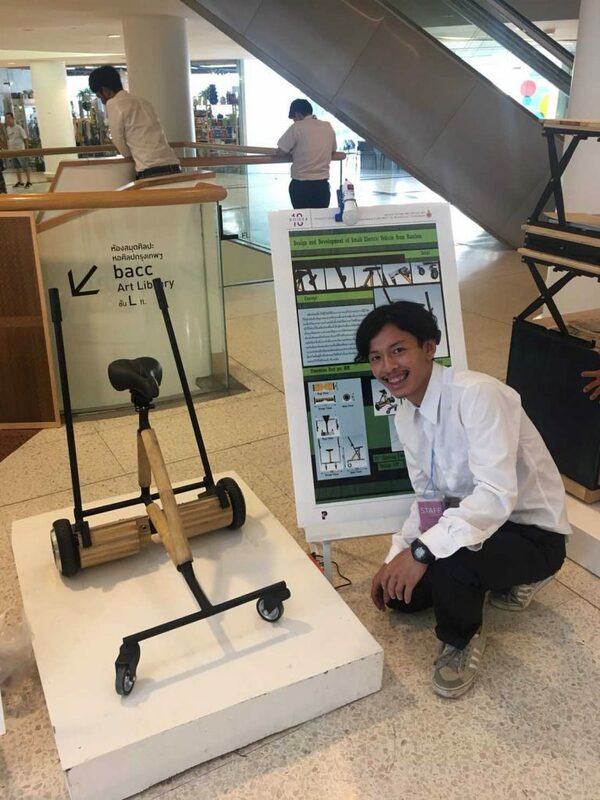 Hence, he has applied the above principles and reasons to devise a concept to design and develop electric vehicles made from bamboo. 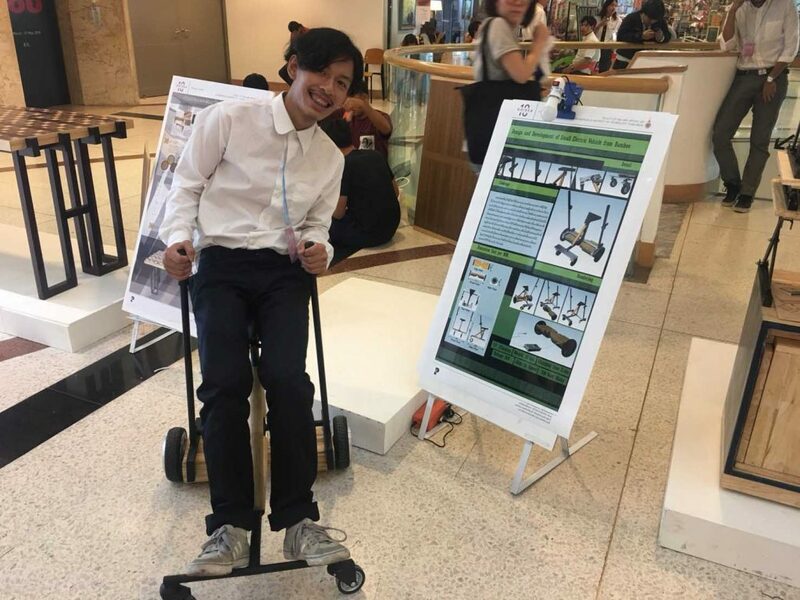 The electric vehicle runs with a motor and the battery as its power, which goes well with the current situation wherein oil prices are increasing due to global oil demand. 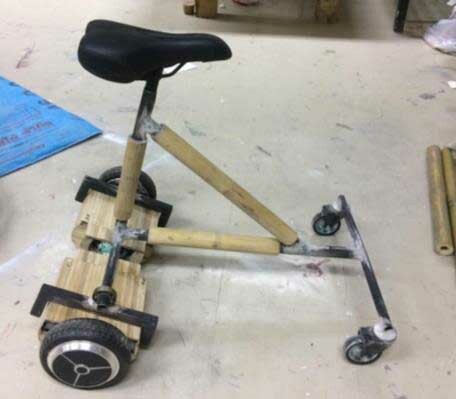 The electric vehicle made from bamboo does not require oil, but still retains the properties of a high power conversion system when compared to fuel systems. Furthermore, it does not cause air pollution, has low noise pollution, and is suitable for solo travelling and short trips that are fast and economical. 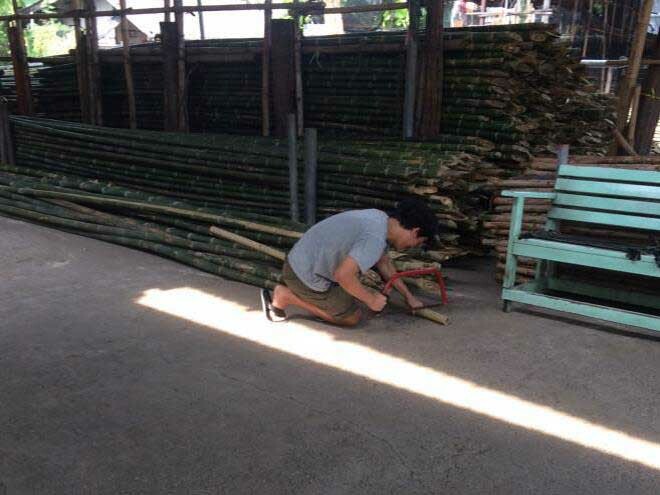 The battery in the small electric vehicle made of bamboo is 440 millimeters in width and 180 millimeters in length. The frame is 430 millimeters in width, 570 millimeters in length, and 350 millimeters in height. The structure of the small electric vehicle is made from steel and bamboo, is powered by two 350 watt DC motors, which uses a 36 V battery, and can hold more than 100 kg. 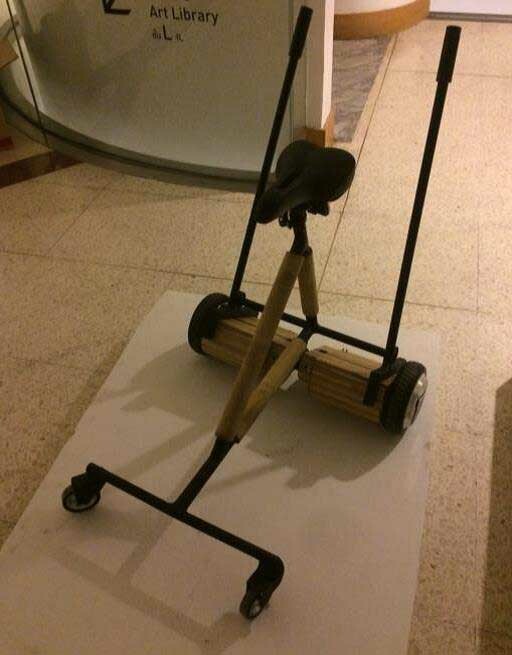 There are two extra wheels, which make a combined four wheels to ensure increased safety. A hand control system is also used, which makes it convenient to control. To drive the vehicle, one has to sit on the seat, press the switch inside the vehicle, and tilt the lever to force the motor to go forwards and backwards. 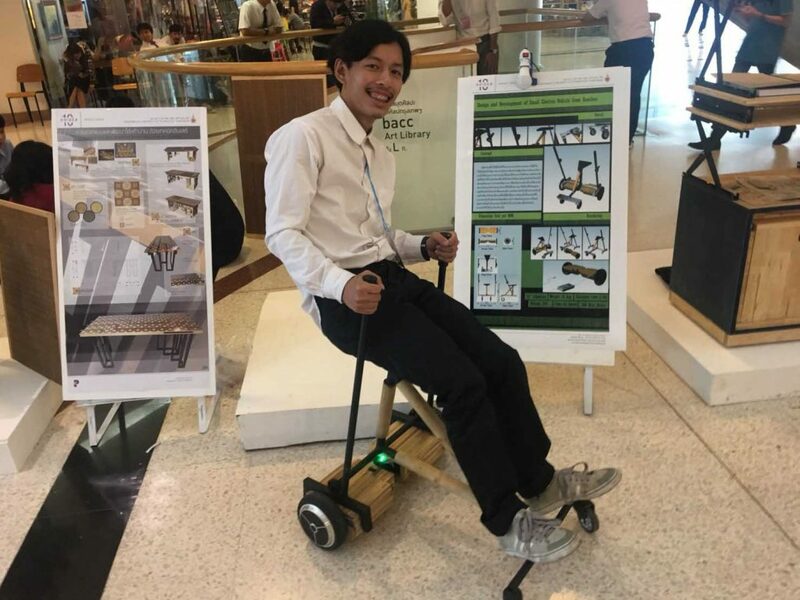 Moreover, data collection from 50 residential users in the Bangkok metropolitan area indicate that the speed of the vehicle’s movement is at the highest level. The control system is also at the highest level. 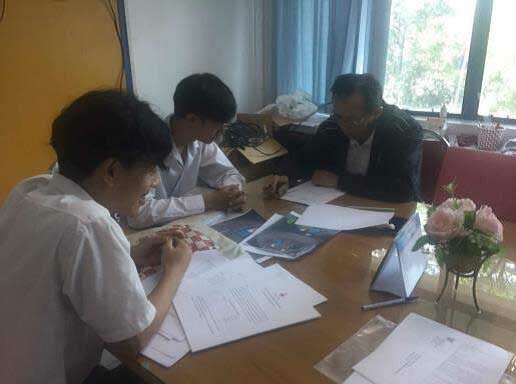 The movement and storage of the vehicle, the materials and production, and layout of the electric power system are at a high level, while the weight that the vehicle that hold is at the highest level. In addition, the material structure is also at the highest level and the security and safety is at a high level. Physiologically, the vehicle is at a high level. 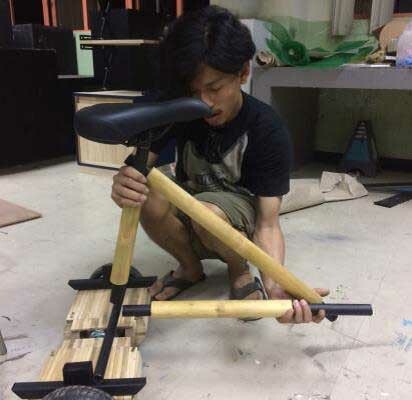 However, the design and development of the electric vehicle from bamboo has some drawbacks in terms of the handles, which should be increased in regards to its width to allow for maximum usage. The footrest area should be improved enable increased usage, and there should also be a fender to increase safety and comfort in using the vehicle as well.